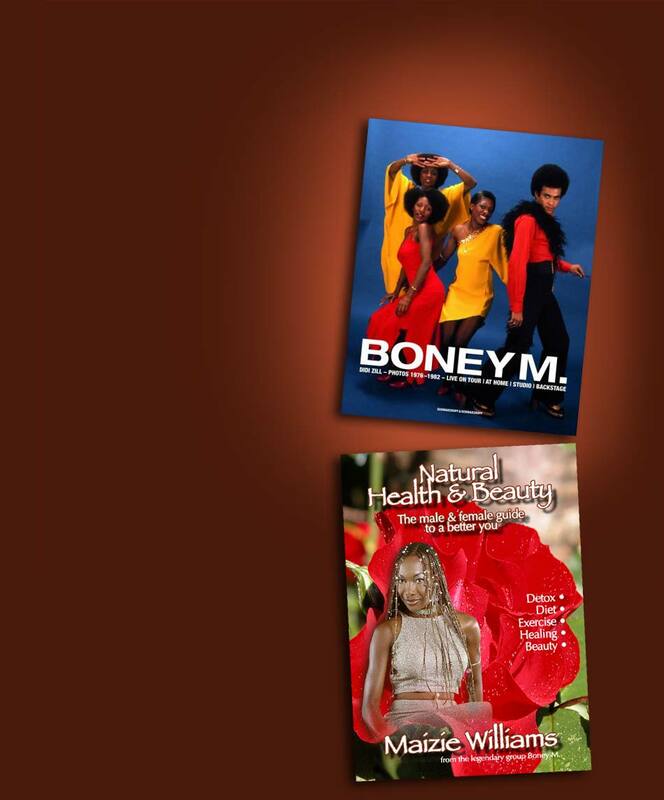 September 2006 saw the release of a unique pictorial history of Boney M. – probably the most comprehensive printed visual record of the band to date. This glamorous book guides you through the years with the most successful disco act of the 70s which is still enthralling fans all around the world with its one-of-a-kind mixture of disco vibes and original dance moves. Star photographer Didi Zill followed Boney M from the mid-70s to the mid-80s, photographing them at home, in the studio, backstage, in Jamaica and on their extensive tour around the Far East through Singapore, Djakarta, Bangkok and Hong Kong. He also shot them for many album covers and magazines. Each of the sessions is described in detail by Didi Zill himself and rounded off with personal anecdotes. For further details or to buy the book click HERE . Natural Health & Beauty is a project that has long been on Maizie's agenda. Having been brought up with a wealth of information and insight handed down from generations of healthy, long-living caribbean islanders Maizie has adapted this knowledge for 21st century western living. She now positively delights in sharing with a new generation some long lost secrets on her philosophy of life. This book is equally useful for men and women with sections dedicated to both, covering everything from Inner Beauty to optimum physical appearance. Scheduled for publication in the near future we will shortly be taking pre-orders at a special pre-publication price. Bookmark this page now - and make sure you've registered with us in the Sign-Up panel above to receive important updates! Other great offers will be coming to these pages shortly... watch this space!